We live in an age when auto manufacturers are right at home displaying their wares at tech shows. Today’s vehicles are light-years removed from the new cars found in dealership showrooms just 10 years ago; the IQ of modern-day vehicles never ceases to amaze. 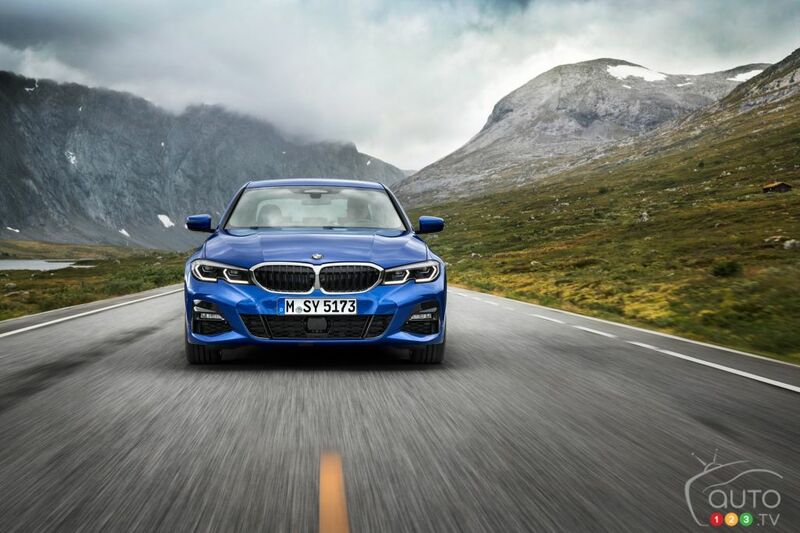 BMW is one of the most adept practitioners of cutting-edge automotive technology, and there’s no finer example of that than the 2019 BMW 3 Series 330i. The new BMW 3 Series sedan is visually an athletic creature thanks to its newly expanded dimensions. 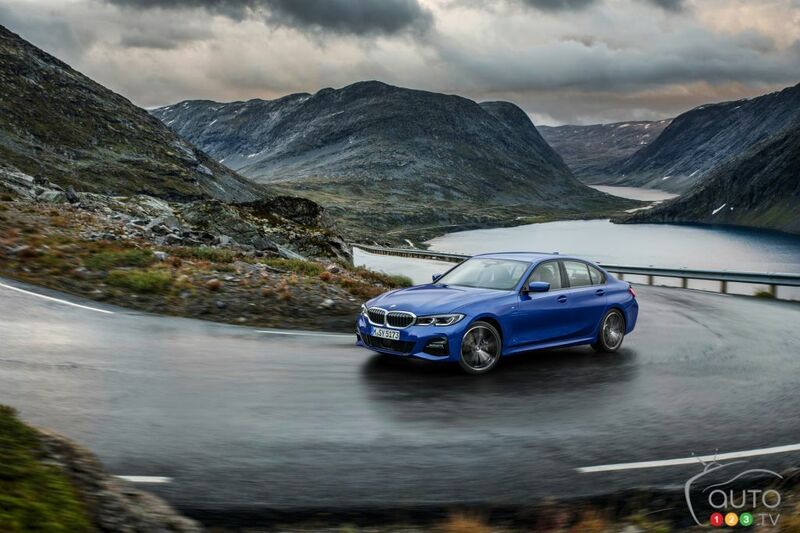 The wholly revised 2019 edition is longer than the outgoing 3 Series by 7.3 cm, wider by 1.2 cm and 1.2 cm taller. Those might seem like trivial increases, but you really do feel the difference inside. During our week of testing the car, even when putting four warm bodies inside of it no one felt crowded… which is more than you could say about the outgoing model. Inside, leather seating is de rigueur and, as mentioned, a decent amount of space for the front and back row of seats. BMW is in tune with the current industry trend in including textures surfaces for the dashboard, which eliminates those hated fingerprints that tend to muck shiny black plastic surfaces. The interior also includes a 12.3-inch screen, tri-zone climate control, keyless entry/starter and a 10-speaker audio system. The climate control button allows for setting the exact temperature you want the seats heated at, and it can be programmed in advance. Which means that on cold mornings you’ll be greeted by a pre-heated seat. We have to say that the infotainment screen is one of the most responsive we’ve tested lately. The touch function works as instantaneously as a latest-gen smartphone – we were truly impressed. There’s still the option of using the turn-knob on the central console for those who prefer that to a touchscreen. Either way the system is easy to use and the various buttons located around that turn-knob are easily found without having to take your eyes off the road. However, count on requiring some time before you totally master the new iDrive 7 system. Safety-wise, all the expected basics are there, for instance lane keep assist, forward collision alert, parking assistant, even a warning signal when one of the three back passengers doesn’t have their seatbelt attached. A welcome new system (optional) is a function that detects if a rear passenger (read: child) is still in the back seat when the river leaves the vehicles; it also can tell you if you’re leaving your smartphone behind! By the way, as per BMW’s usual modus operandi the list of optional features is long and the selling price of your new 3 Series can quickly skyrocket, but at least these features are available. There are two other available systems that help the driver in daily driving, Extended Traffic Assistant and Active Driving Assistant Professional. These are functional when the cruise control and lane keep assistant are activated, and when they are the screen displays a steering wheel. If that wheel is green, it means all is good, and the system is handling the driving. If it turns yellow, it means the system can’t detect the road and that the driver must retake control. From having tried it, we can confirm that if the driver doesn’t do as instructed, the wheel goes red, and then the vehicle deactivates the whole self-driving system. We’re not sure this is the ideal way for the system to handle that eventuality, but the fact is that kind of total deactivation is found in the systems of several other manufacturers as well. Also included are semi-autonomous driving systems like Park Assist Plus, which allows the driver to parallel-park via the simple push of a button. Emergency assistance, meanwhile, keeps in memory the last 160 metres the vehicle has driven, so that when you’ve taken a certain route to get somewhere, the car can back you out without you having to constantly check your rearview mirror. This system is unique within the 2 Series’ segment. We tested it during our week with the car to parallel park. In all honesty, we’ll grant that this system might be useful for those who find that manoeuvre challenging, but otherwise, taking 20 seconds to configure the system to park correctly while we “bystand” didn’t seem very sensical to us, when we can do it faster ourselves. In Canada, the 330i is powered by a 2.0L 4-cylinder engine making 255 hp and 296 lb-ft of torque. That represents gains of 7 and 37, respectively, in comparison with last year’s model. In daily use, much as found the only mill dull and literally short of power, the new unit brings more muscle and makes the car more exciting to drive. We’re big fans of BMW’s 4.0L engine, which is gnarly and bursting with torque, plus it emits a growl that glues a smile to your face whenever you accelerate; plus plus, it’s even (relatively) economical! But this 3.0L engine reintroduced us to the sensations we had with the 4.0L unit. The 37 lb-ft gain in torque over the last engine is enough to make every press of the gas pedal bring a quick response. In terms of consumption, we averaged 8.2L in mixed city/highway driving; highway alone came to 7.3L/100 km. No complaints there, to be honest. Add it all up and you get power, driving pleasure and decent fuel economy. Bravo! The 2019 330i is also equipped with an 8-speed automatic transmission and enables the driver to choose from four different drive modes: Sport, Comfort, Eco Pro and Adaptive. The latter is the most interesting one, frankly, as it allows the driver to adapt the parameters to fit your preferences and driving habits/needs. In daily driving, the reality is that much of your time is spent a) in traffic, or b) at cruising speed on the highway; it’s not often you’ll actually need aggressive acceleration. It’ll be too much of a bother for most people to fiddle with the settings on a regular basis. In Adaptive mode the car adjusts to your driving style and, for example, will switch between Eco Pro and Sport when you press the gas pedal aggressively. We suggest using this as the default mode instead of Comfort. 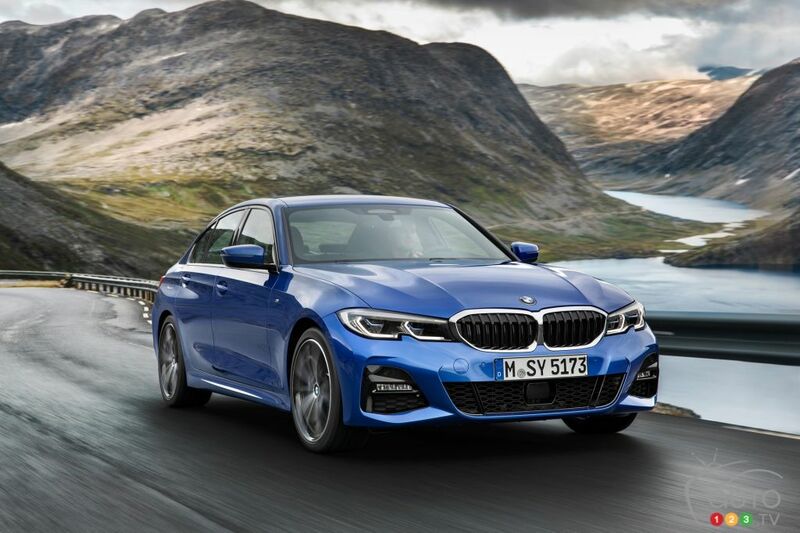 Overall the new 2019 3 Series is a successful update, even with that stinging price point of $49,000, which in our view is still too high; and, that’s before you start the counter on the options. The starting price, by the way, is $3,100 more than the last edition’s. Our tester was priced at $59,295, as it included the advanced luxury package ($4,900) that includes heated steering wheel, parking assist, head-up display, keyless entry, wireless charging, etc. Added in was another $2,000 for the M Sport package and a few other goodies. If we had to choose, we would take only the M Sport pack as it boosts the car’s day-in-day-out performance and gives the braking system more bite. 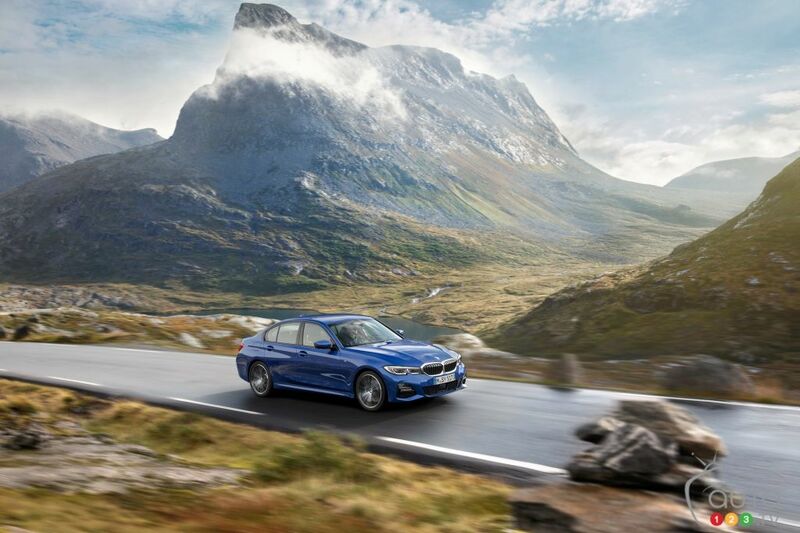 Beyond price, the 2019 BMW 3 Series has what it takes to please. The engine is a winner, the car is more elegant and there’s more room inside it for occupants, and it’s far more fun to drive than the model it replaces. We figure it will be a solid competitor to the aging Mercedes-Benz C-Class and especially the Audi A4.